Mumbai: India’s new darling and its authentic prosecution witness in 26/11 Mumbai attack David Coleman Headley has resolved the longstanding mystery shrouding Subhas Chandra Bose by deposing in the special court that Bose was not only alive, but was a Lashkar-e-Toiba operative now fighting with Islamic State in Syria. Headley, a US national and an LeT militant turned approver, is deposing in a Mumbai court via video link on the 2008 attack as a witness for the prosecution. Headley identified the photo of Bose, which the special public prosecutor Ujjwal Nikam carried in his bag and erroneously showed it in the court room. Swami said it was a top secret that Bose was arrested in Kashmir in early 90’s and was released along with Masood Azhar in Kandahar. “We never made it public, as nobody would have believed it, but now that Headley is saying it, we know everyone would take it as a gospel truth,” Swami said. He added that Bose’s proximity to Islamic Caliphate dated back to his alliance with Axis powers during the second world war, which included the Ottoman Empire. 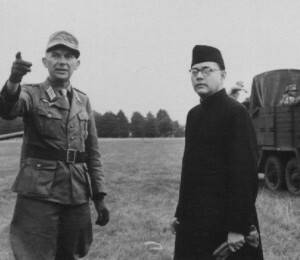 Headley’s revelations have added a feather of Narendra Modi’s cap who had tried to resolve the Bose mystery by declassifying documents related to him.